Bok-Soon (Kim Go-Eun) lives with her younger sibling. She runs a street stand. Bok-Soon is slow, but when people angers her she goes crazy. That's why she is known as the "crazy woman". One day, cold-blooded killer Tae-Soo (Lee Min-Ki) appears in front of her. To hide his secret, he kills Bok-Soon's younger sibling. Bok-Soon then goes after Tae-Soo for revenge, but Tae-Soo goes after Bok-Soon. Filming began May 5, 2013 in a village in Chuncheon, South Korea. 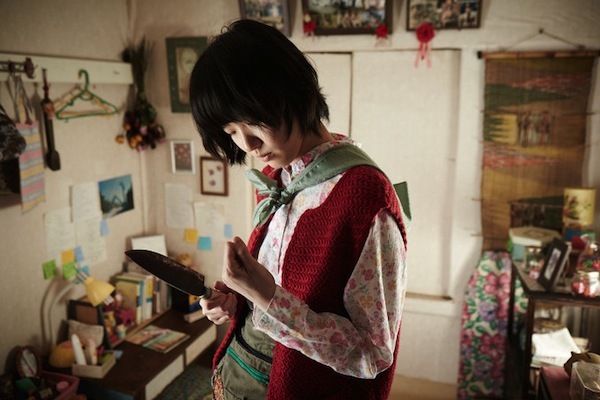 The first scene filmed involved Bok-Soon (Kim Go-Eun) deciding to take revenge and leave her house. Tae-Soo (Lee Min-Ki) arrives to an empty house. Filming ended July 31, 2013. Gailene Nov 20 2018 9:11 am For me this movie is amazing! Bok-soon's sister had actually died in the hands of the serial killer and has been made into pottery like the rest of the victims. The old man in the phone vid killed Na-ri's sister (I think it was her older sister) by hiring the serial killer. That was the part that bugged me the most because she didn't get justice for her horrible death. Also, the remains of Bok-soon's sister will not be identified because she took the name card in the cabinet. There's a lot of things that you'll think about after watching the movie. Like what'll happen to Bok-soon and Na-ri since her vegetable stall spot has been cleared by the 3,000 dollar guy. And will they really spend all the money on black bean noddle soup?? hat May 21 2018 2:21 pm ok wow, this movie is completely insane! Yet I somehow had to keep watching. I have some thoughts, but I don't really want to criticise, it seems totally valid how the director chose to portray these peoples' stories. CanINotLeaveAName Dec 05 2017 6:53 am good actors but bad storyline. didn't explain the meaning properly. Cristina Jun 28 2017 9:19 pm I absolutely love this movie! Brilliant acting made the surreal characters come to life. Kim Go Eun was really superb in acting crazy and slow to understand. 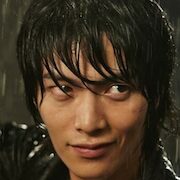 Lee Min Ki was stunningly believable in portraying a a crazy psycho killer. Bok-soon and Na-ri's parts were excellently portrayed that you'd understand and feel why they got so attached with each other. I think the comedy parts were not off and the director wasn't trying hard to mix genres but instead it showed how a mentally slow person thinks - they can shift easily from one emotion to another. One moment might be a suspense and drama for them but as soon as they have expressed it, they shift swiftly to a different emotion. Unlike normal people who keeps and dwells in a certain emotion for a long time, mentally slow people are able to shift to a new emotion easily given a different stimulus. The killer was the same as he would be behaved calmed, happy or focused at one moment and then becomes violent and cold once triggered and vise versa. Jhae Dec 24 2016 10:07 am Kim go eun is really a daebak. Love her acting. CR Buffalo NY Jan 29 2016 10:09 pm Horribly gory and scarey. Lee Min-Ki, Kim Go-Eun, and Ahn Seo Hyun excellent performances!!! 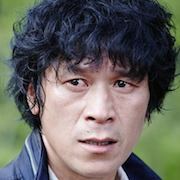 Lee Min-Ki that was a very evil portrayal!!! Hard a hard time looking at the screen every time you showed up!!! Bravo to all!!! kaiamar Jan 21 2016 8:09 pm This may be the most surreal and bizarre movie I've seen since Fargo. Lee Min-ki is amazing. To create a psycho-killer who is a sympathetic character and give it believable life is one hell of an acting job. Darriell Sep 28 2015 9:00 pm This movie was AWESOME! Like were else will you find a movie that makes you want to hide in a corner one moment and die from laughter the next?! Paw Sep 26 2015 6:17 pm Like the movie, love the actors and actresses. But I couldn't deal with the loopholes and the dumb actions. Like seeing the police/military 3 times and not just telling them and having them deal with it instead of running around like a chicken with its head cut off. Aj Jul 04 2015 6:38 pm Though the lead is beautiful, talented, and super scary in this, the movie itself makes very little sense. valenciana Jun 23 2015 3:04 pm I LOVE THIS MOVIE.. no im not Asian..but yes.. absolutely amazing story..and the lead actor...O M G HOTTT..I could have great dreams every night thinking of him in the shower ..tattooing himself.. wow ! bby May 27 2015 6:27 am go eun was good at acting crazy..
Jani Apr 26 2015 4:54 am This was so crazy... I'm sorry but I just couldn't take the main girl's stupidity anymore. Love min ki here, even tho he's a psychotic murderer. tan May 06 2014 10:43 am daebak.. ilove this movie.. blend of horror, comedy, heart warm drama, very touching,, but no romance between Min Ki and Go Eun, i hope they meet again in romance movie..
Maggie Mar 16 2014 2:01 pm I just saw this movie at CGV Cinemas in LA yesterday. Although I don't regret seeing it, it was different from what I expected. Although I did not mind the comedy aspect, but I expected more... Of a hunt part from the sister. I do not want to give anything away, but anyone who has seen this movie will know what I'm talking about. Jeylani Hussein Mar 16 2014 1:28 pm Lee Minki is awesome actor #100 kool. John Mar 14 2014 7:57 am I watched this movie in lotte cinema in busan.... I give this movie a 3/10, This movie director focused too much on diversity, trying mix elements of action, horror, drama, and comedy all at the same time, which it is supposed to give you a wave of up and down emotions in which the director made a good job but the horror part was really poor, there was no built in suspense, everything was predictable, the horror atmosphere of the movie is very poor (image quality is similar to dramas) and the only "horrific" thing about the movie is the sudden forced horror sounds that kills the drama feeling of the movie. hyunlena Mar 09 2014 12:37 pm @kh" - How is this a horror-comedy? Nothing in the trailer is comical, and the storyline isn't either. Anyway, I can't wait for this! It looks really good. Francisco DeCastro Feb 18 2014 9:36 pm This is going to be like an artistic suspense thriller. At least that is what I got from the trailer. It seems like the killer also has a story of his own. It also seems like they are shooting for us to have some compassion towards him as well. That's what I got from the part that it shows him looking at himself in the mirror and the part that he is sitting on the bathroom tub. Should be good. I will have to wait and buy the DVD I guess or something. parkminhee Feb 14 2014 10:03 am just wow!!!!!! hanana Feb 08 2014 6:39 pm lee min ki~~~ i cant wait this long. been waiting since last yearrrr... hurry hurry time. i so want to watch this. 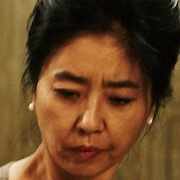 Philipp Richardt Feb 27 2013 1:40 pm Kim Ko-Eun - this is definitely a 'must-see'!